The Sexual Health Resource Centre is run by a nine-person Executive Board, elected annually in April by the volunteer body. Each member has a unique role, as outlined by our constitution. If you have any questions about how the SHRC operates, please contact the appropriate person below. The Director is the official spokesperson for the SHRC, oversees the operations of the organization, and serves as the liaison between the SHRC and any university bodies (administration, AMS or SGPS). Please direct all media inquiries to the Director. The Assistant Director is primarily responsible for obtaining additional funding through grants, but also assists the other members of the Executive in their duties. The Volunteer Coordinator is responsible for volunteer recruitment, feedback, discipline and appreciation. They also organize the hiring process and monthly general meetings for all volunteers. The External Education Coordinator is responsible for the organization and staffing of all “teach-ins” and booths. The Internal Education Coordinator is responsible for running training for volunteers, including producing educational materials and inviting guest speakers. They also coordinate the lending and pamphlet libraries. The Office Manager is responsible for the regular stocking of products, pricing, and introducing new products to serve the diverse needs of our clients. The Financial Manager ensures that the SHRC is financially accountable and using allocated funds appropriately. They maintain all financial records for tax purposes. The Publicity Coordinator is responsible for the production of all advertising, maintenance of social media sites, and maintenance of the SHRC’s website. 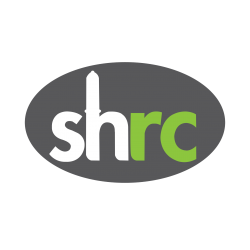 Please contact the Publicity Coordinator if you wish to request promotional materials from the SHRC. The Community Outreach and Events Coordinator acts as a liaison between the SHRC and other community groups, and ensures the inclusion of the SHRC in community events as appropriate. Please contact the Community Outreach and Events Coordinator if your organization would like the SHRC to be involved with a community event or boothing opportunities.